Planning to buy a tablet? Here are five of the best tablets around! We, humans, can’t settle for anything. We didn’t settle for floppy disks and magnetic tapes, so we have memory cards, pen drives, and we didn’t even settle for them so we have hard disks and clouds. In the same way, we didn’t settle for soap-thick telephones, so we have smartphones and then, we went ahead to have tablets. Even before we didn’t get enough of a smartphone, we have tried our hands at a tablet, cos it has a bigger screen and better multimedia experience. And this tablet is not going to fade away like all other older technologies but would be here for a while. Let’s discuss them and also allow us to be your tablet buying guide with a list of best tablets. In the days where smartphones single-handedly bearing all the responsibilities of computing, the tablets and laptops are going backstage with not that much to perform. Laptops had faced this fate because of the difficulty to carry them around and complexity in using them. But tablets, why these things have failed to be on top of the technology tree is a near puzzle. And when you think of any disadvantages of tablets compared to laptops, you can hardly find any. That apart, let’s discuss the best tablets in India as we speak. 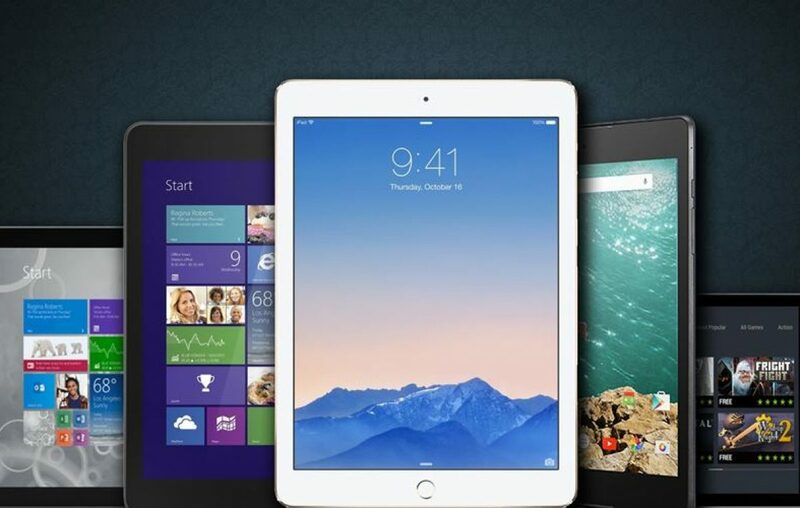 When you have to pick a few best tablets, it is for sure that Apple products will make a cut in the list. No matter how expensive they are, the iPads are the most sold tablets in the world. Coming back to the best tablets in India, we have picked out the best five according to their price range, features, specifications, and brand value, of course! Told you! 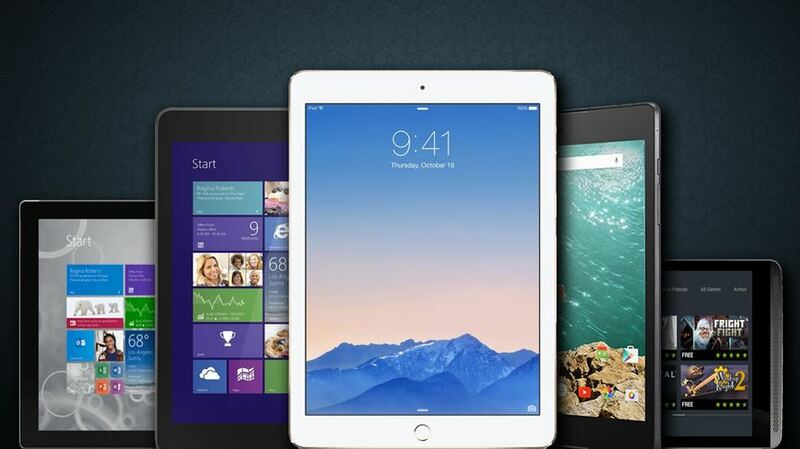 Read any listicle of best tablets in the market, you would find one or two iPads in that. Such is the popularity and performance of these Apple tablets no matter even if they’re expensive. 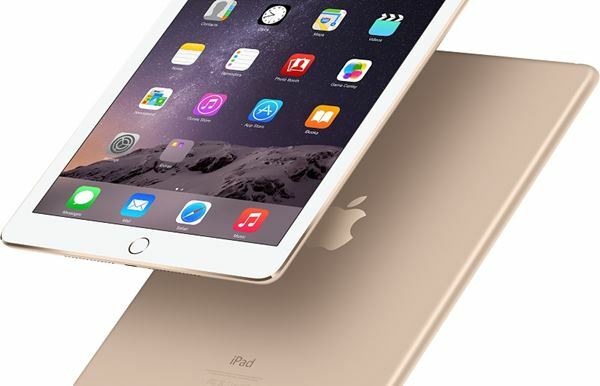 This Apple iPad Air 2 comes with a price tag of INR 39700. With a 9.7-inch IPS LCD display, Apple A8 chipset, 2GB RAM, and 2K resolution, the iPad Air 2 is a perfect device for gaming and other multimedia experiences! Cameras are always on the better side of performance scale when it comes to Apple. This iPad Air 2 comes with an 8MP primary camera and a 1.2MP selfie camera. It is, of course, a bit awkward to take selfies with a 10-inch slate, which makes you look weird, but this tablet delivers if that’s all that you want! With 128GB internal memory, 8600 mAh Li-Polymer battery, this tablet is a boon to the portable computing. Coming with same screen size as the iPad Air 2, this Samsung Galaxy Tab S2 is a 9.7-inch tablet with 3GB RAM and Super AMOLED display with 2K resolution. With the proprietary processor Samsung Exynos 5 Octa-core, the Galaxy Tab S2 comes with 1.9GHz processor speed and Mali T760 as the Graphics Processing Unit. It has an 8MP primary camera and a 2.1MP selfie camera with additional features like phase detection autofocus, LED flash, Geo-tagging, touch focus, face detection, panorama, and Auto HDR, and a 5870 mAh Li-Polymer battery. But one downside about this tablet is that it only comes with 32GB internal memory. However, the memory can be expandable up to 128GB. 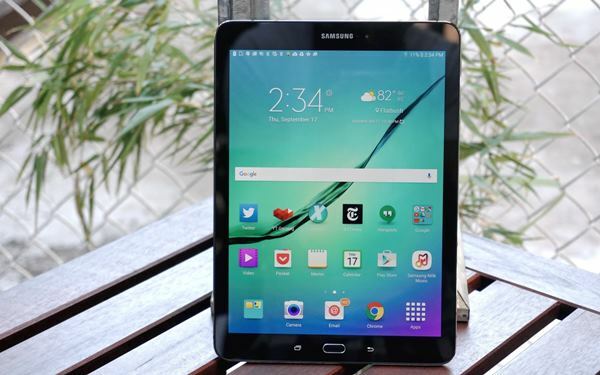 This Samsung Galaxy Tab S2 comes at a price of INR 38500. Next in the line of best tablets in India is Lenovo’s Yoga Tablet 2 Pro. Being more expensive than an iPad Air, this Yoga Tablet is touted as a perfect replacement for a PC/laptop. This Lenovo Yoga Tablet 2 Pro comes with a 13.3-inch IPS LCD display with 2K (1440x2560p) resolution, with a pixel density of 221 PPI. Although it’s not that good at the display, this Yoga Tablet does well when it comes to the processor and performance. 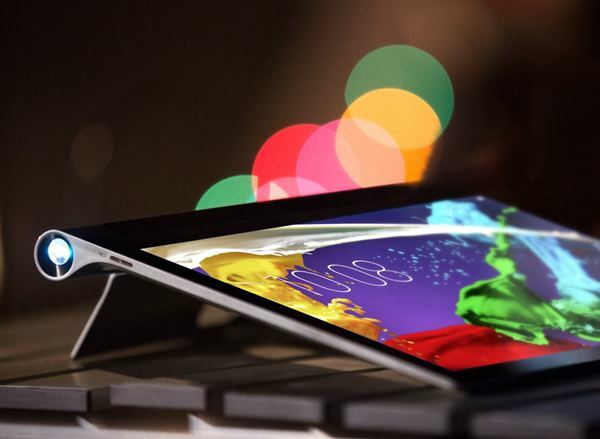 The Lenovo Yoga Tablet 2 Pro comes with an Intel Atom Z3745 Quad-core processor, powered by 2GB RAM and Intel HD Graphics. And this tab runs on Android Marshmallow. With 8MP primary camera, 1.6MP selfie camera, 32GB internal memory which is expandable up to 64GB, and a whopping 9600 mAh battery, this Lenovo Yoga Tablet 2 Pro can be used as a full time PC/laptop without a doubt or hassle. This HTC Nexus 9 is for sure one of the best tablets in India. Co-powered by Google, this tablet comes with an 8.9-inch IPS LCD display with 1536×2048 resolution and 281 PPI of pixel density. Running on Android Lollipop, this HTC Nexus 9 is powered by a Nvidia Tegra K1 Quad-core and a Kepler DX1 as Graphics Processing Unit. With a professional Nvidia as its chipset, this tablet can be taken as a perfect device for gaming and high-level multi-tasking. It comes with a 2GB RAM, 8MP primary camera, 1.6MP selfie camera, and 32GB internal memory. Additional features of the camera include LED flash, Geo-tagging, touch focus, face detection, Panorama, Auto HDR, and phase detection autofocus. 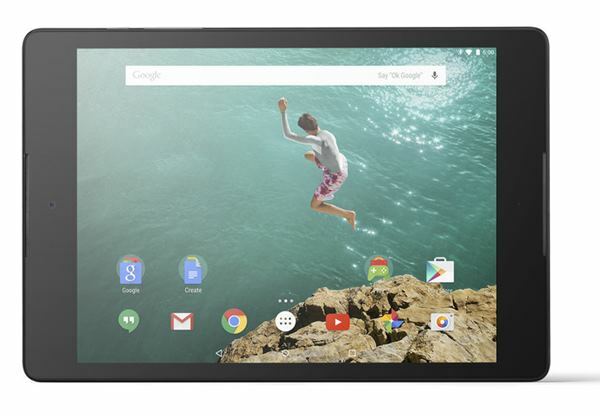 With a 6700 mAh non-removable Li-Polymer battery, the HTC Nexus 9 comes with a price tag of INR 75600. 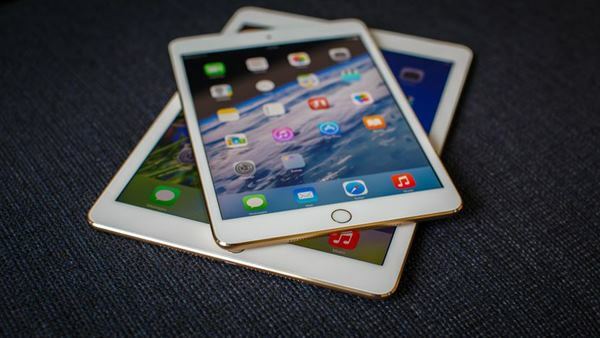 The Apple iPad mini 3 is another best tablet when it comes to performance and brand value. This mini tablet comes with a 7.9-inch IPS LCD display with 1536 x 2048 and pixel density of 324 PPI. With a 1GB RAM, Apple A7 chipset dual-core CPU and PowerVR as Graphics Processing Unit, this Apple iPad mini 3 is a powerful device which can perform high graphics gaming and multitasking easily. Coming to the cameras, the Apple iPad mini 3 comes with a 5MP primary camera and a 1.2MP secondary camera. With Digital Zoom, Digital image stabilization, Face detection, the company claims that video recording quality can go up to Full HD resolution @30fps. But this tablet comes with only 16GB internal memory with no expandable memory slot. Bummer! Apart from that, it’s 6470 mAh battery and powerful features bring this device to the top list. This Apple iPad mini 3 prices at INR 25900. Also, many companies are looking to launch many tablets in the near future as the usage of laptops has been diminishing with every spin of earth. So, if you have already waved off tablets as you did smartwatches, you should think twice. Tablets may take over the technology, once again! You were wrong! Do you believe now? Mi Mobile – The greatest smartphone range to be ever released! What makes Samsung Galaxy On Max a mid-ranger worth spending for? Samsung Galaxy J3 Prime – Is it just another entry-level phone?